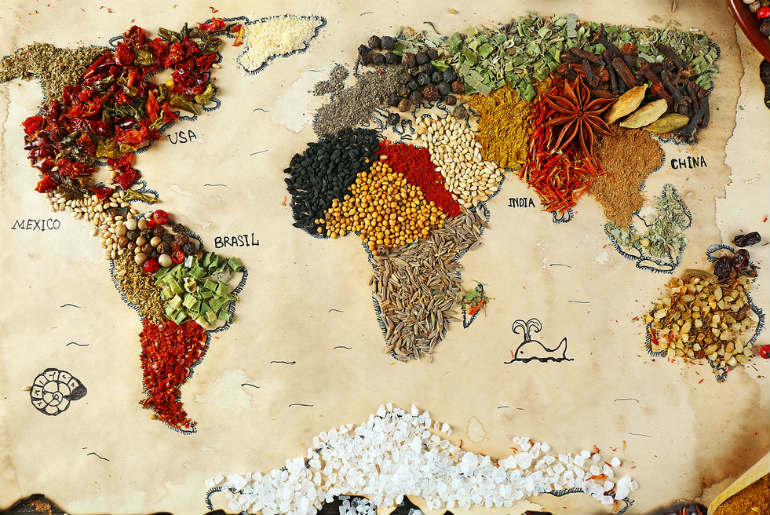 5 National Dishes To Try From Around The World Written by Barnaby Taylor. Published on 3rd October, 2018 . Tasting a country’s national dish is the one thing you should always do when visiting somewhere new. A country’s national dish can reveal so much about its cultural and culinary history, and is even likely to have its own variations across geographical locations. Above all, finding a local restaurant to try a dish in all its authenticity is a great way to meet new people and really experience a country’s traditions. For a true taste of adventure, hop on a plane and give these delicious national dishes a try! Pho, pronounced “fuh”, is the national dish of Vietnam, and is a favourite among foodies everywhere. 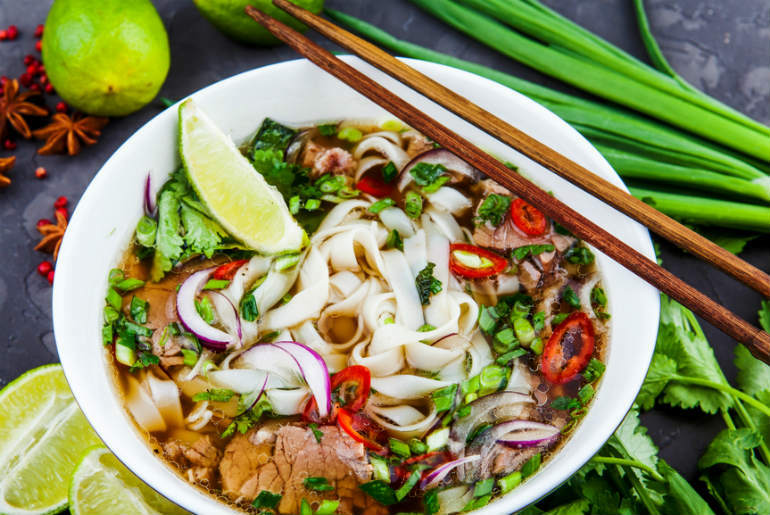 A steaming bowl of pho is traditionally eaten for breakfast, however it’s available all day and night on almost every street corner in Vietnam. Rice noodles are cooked with chunks of beef in a delicious broth, typically garnished with coriander, chilli, garlic and a spoonful of sugar. 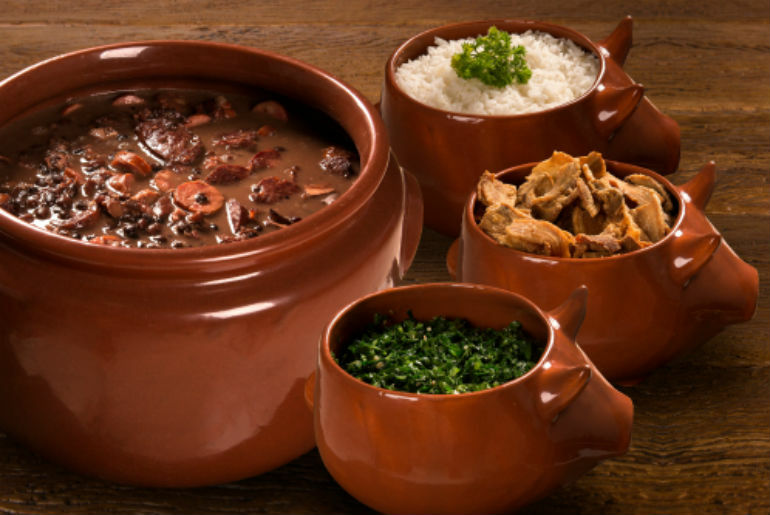 Feijoada first originated in Portugal, however it is now widely recognised as Brazil’s national dish. This one-pot stew is cooked across the globe in countries such as Mozambique, India and Cape Verde, so the recipe varies from location to location. In Brazil, black turtle beans are cooked alongside cuts of pork and a blend of flavoursome spices, and are served with white rice and collard greens. Pad Thai, which is the national dish of Thailand, is cooked and served on the street in carts and food stalls. It’s a noodle-based dish prepared with chicken or tofu, stir-fried with egg in an aromatic sauce of tamarind, garlic, sugar and fish sauce. 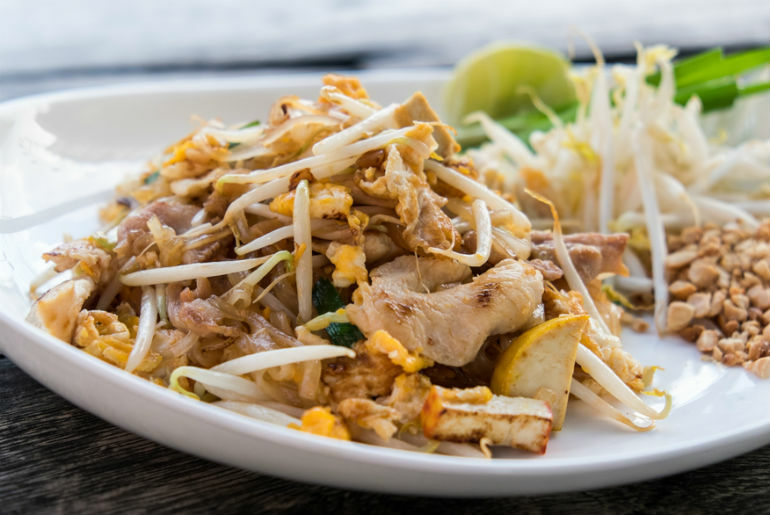 Pad thai is also traditionally served with beansprouts, crushed peanuts and dried chilli. It’s incredibly tasty and can be purchased for 50 Baht or less, which is approximately $1.50! Bobotie is a hearty dish from South Africa which combines cuts of curried meat paired with a symphony of spices. It is typically made from pork, although it can also be prepared with chunks of beef or lamb. 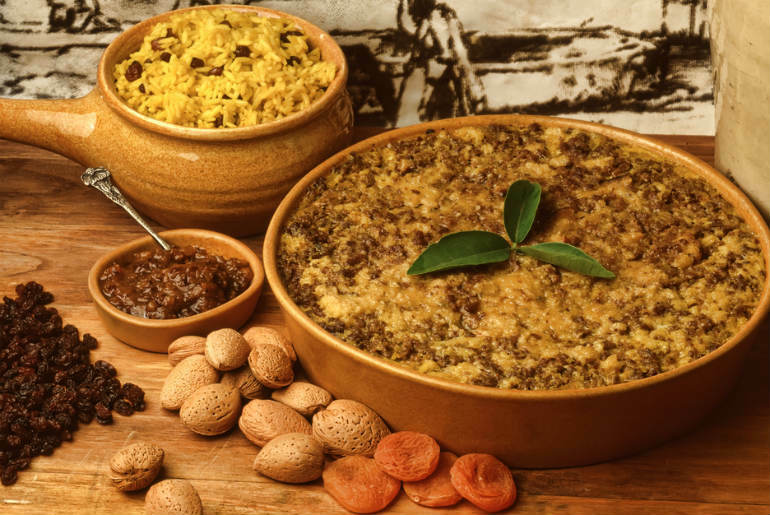 Once the meat has been flavoured with spices and pine nuts, it is then covered in a creamy layer of egg and milk, and served alongside rice with tumeric. For extra flavour, dried fruit, walnuts and banana are also added to bobotie. Although Chinese cuisine is famous across the globe, Peking duck, which originated in Beijing, is generally recognised as China’s national dish. 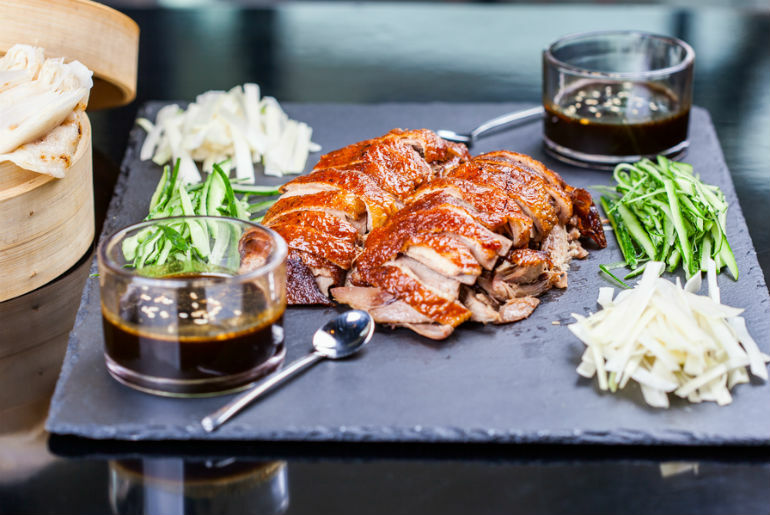 One of the most popular ways to eat Peking duck is to prepare savoury duck pancakes, which are served alongside chopped spring onions and a flavoursome bean sauce. Traditionally, the duck’s skin is also enjoyed with sugar and garlic. Which of these mouth-watering national dishes do you like the sound of? Wherever you want to travel, Just Fly Business is committed to supplying low-cost business class flights to Vietnam, Thailand, South Africa, and a range of other exciting destinations. Visit our website to book your next luxury holiday today and see where our business class flights could take you.